I actually saw Snake 111 in Slither.io. 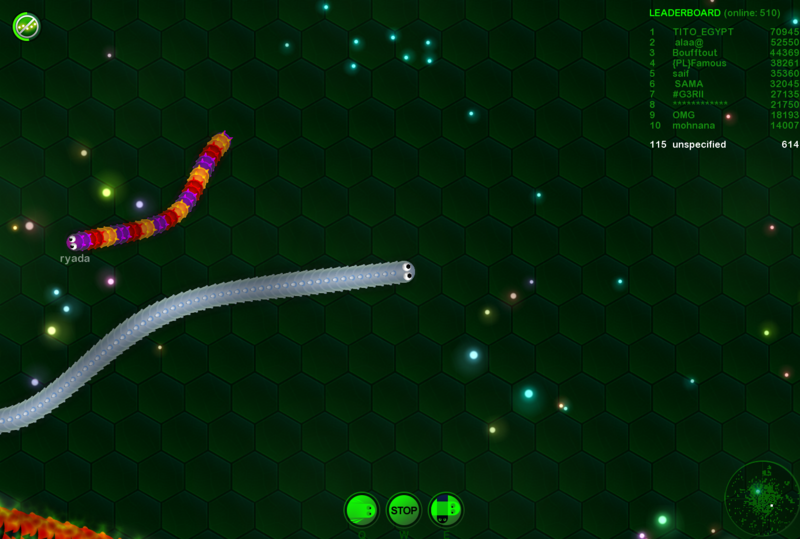 He was near the top of the leaderboard and he slithered towards me! This is the first Snake 111 sighting EVER! He was the huge snake I saw and he was on the leaderboard. Comment to tell me whether you see anyone like this. Here is a recommendation Red Button gave me called slither.io. You can download it as an app or play online at slither.io. There is no chat. You play against people across the globe but you cannot chat, even if you want to. The game requires you to use your mouse or finger to move your snake across the screen, collecting glowing orbs and trying to make other snakes crash into you, but if you crash into a snake then you die. You play with a nickname and not your real name, which makes it safe and it is very fun altogether. I would recommend playing it first online at slither.io to try it out. If you like it, then download the app.